​Natural gas is a major part of our modern everyday lives. Through electricity, life-saving medicines and surgical equipment, computers, phones, make-up, safety equipment or clothing, the natural gas and oil industry helps to keep us healthy, warm and safe. Transporting energy across the Commonwealth of Virginia and across the country is predominantly done by pipeline which is a critical component of Virginia’s energy infrastructure. It is an infrastructure that is both proven and safe in moving natural gas from the regions in which it is produced to the end user. In fact, if it wasn’t for pipelines already in existence, Virginia would have a tough time meeting its energy needs since the Commonwealth is a net importer of natural gas. Thousands of miles of pipeline already run safely through Virginia and under our communities throughout the country. 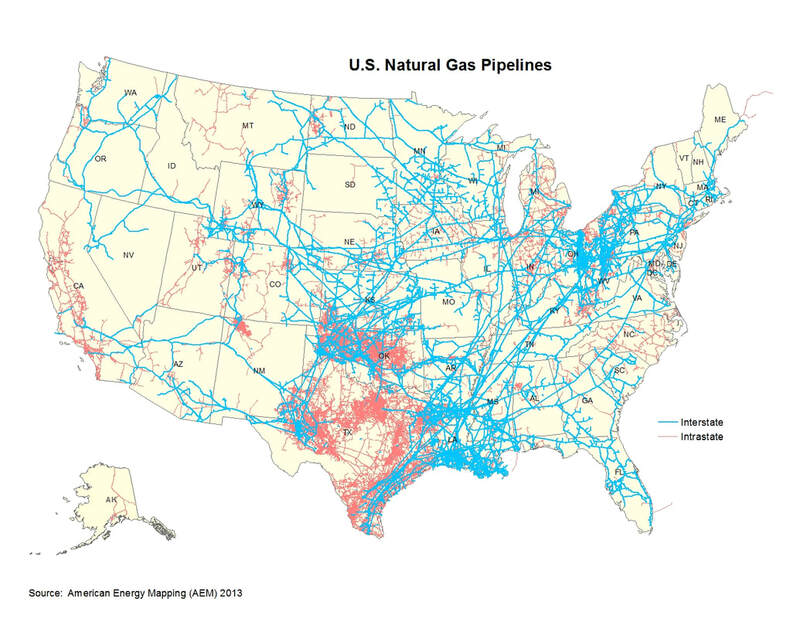 Including both onshore and offshore lines, there are more and 300,000 miles of interstate and intrastate transmission pipelines and 2.5 million miles of distribution pipelines already in place which deliver natural gas service to 177 million Americans. However, it’s still not enough to meet the ever-growing demand for natural gas which exceeds what can be served through current pipeline infrastructure. Affordable natural gas energy is a big draw for Virginia-based manufacturers looking to expand and for new companies looking to move to the United States and to Virginia. Currently, natural gas supplies nearly one-fourth of all of the energy used in the United States. Natural gas is found across the country and in fact, 33 states are now producing, or have produced it. Virginia is fortunate to be one of those states and as a result is able to supply some of its own energy needs. Natural gas is leading the way to provide that energy due in part to the fact it has the smallest physical footprint of all other energy sources and it also provides both affordable and reliable energy. All operators of natural gas pipelines are required to follow the federal pipeline safety code that falls under the enforcement of the U.S. Department of Transportation’s Pipeline and Hazardous Materials Safety Administration (PHMSA). Pipeline safety regulations apply to all pipelines in the United States. The gas industry nationwide spends billions of dollars each year to ensure the safety and reliability of natural gas infrastructure. Natural gas utilities are subject no only to their own stringent internal controls, according the American Gas Association, but they must also meet rigorous federal and state oversight with inspections performed regularly by state regulators to ensure compliance is met. Virginia currently has several pipeline projects in the approval process, including the proposed Atlantic Coast Pipeline (ACP) and the Mountain Valley Pipeline (MVP). These pipeline projects, once operational, will provide the fuel needed by natural gas power plants to in turn provide energy to thousands of Virginia homes and businesses, as well as to existing and/or new manufacturers. Much of the U.S. electrical system predates the turn of the 21st century. The American Society of Civil Engineers (ASCE) noted that the electrical grid is currently running at full capacity across most of the country, and that with increased power generation needed from natural gas, greater attention needs to be paid to increase in demand. Without replacing and upgrading infrastructure, Americans will likely face longer and more frequent power interruptions. Matt Yonka, president of the Virginia State Building & Construction Trades Council, noted not only will new pipelines bring the fuel to provide clean electricity and home heating to millions of citizens, but at the same time, he said the projects will put thousands of Virginians to work. Projected pipeline economic benefits include more than $17 million paid in taxes annually; hundreds of millions in Virginia infrastructure development costs (equipment, material, labor and services); and thousands of new permanent jobs due to both operational and expected growth in manufacturing and industry sectors due to increased availability of a reliable and affordable energy source. Pipeline operators take proactive steps to ensure that health, safety, security and environmental concerns are addressed at all stages, including in the planning, construction and operational phases of any pipeline installation and operation. Pipeline companies fund millions of dollars worth of research into new facility inspection technologies and spend millions of dollars on pipeline and public safety initiatives each year. Significant dollars are spent on corrosion inspection technology and in engaging the general public and landowners to help them understand the importance of pipeline safety and protecting pipeline facilities from third-party damages through the use of the 811 “Call Before You Dig” law.